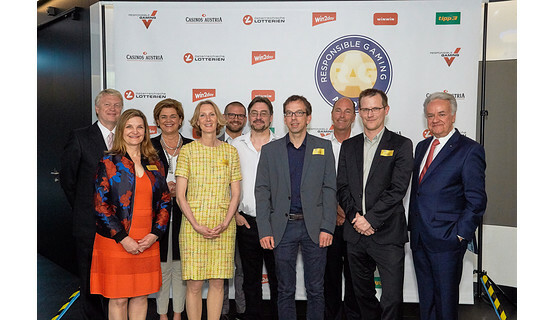 The Casinos Austria and Austrian Lotteries Group has hosted its annual Responsible Gaming Academy (RGA) every year since 2004. Originally conceived as an internal training measure, the RGA has since developed into a high-caliber event for national and international experts. On 24 April 2018, the RGA once again brought numerous members of staff from across the group as well as representatives of the elite in gambling and gambling addiction research to Studio 44 in Vienna. In recognition of the group’s commitment to corporate social responsibility, this year’s RGA was organized as a certified Green Event. Circumstances have changed at lightning speed since the first RGA: gambling is now accessible everywhere, at any time and essentially to everyone. How we as a society can – and must – handle this in the digital age, how we recognize and prevent problem behavior, and how we provide effective protection to the weakest members of society were the topics of debate on Tuesday for the international experts in the gambling industry and gambling addiction research. 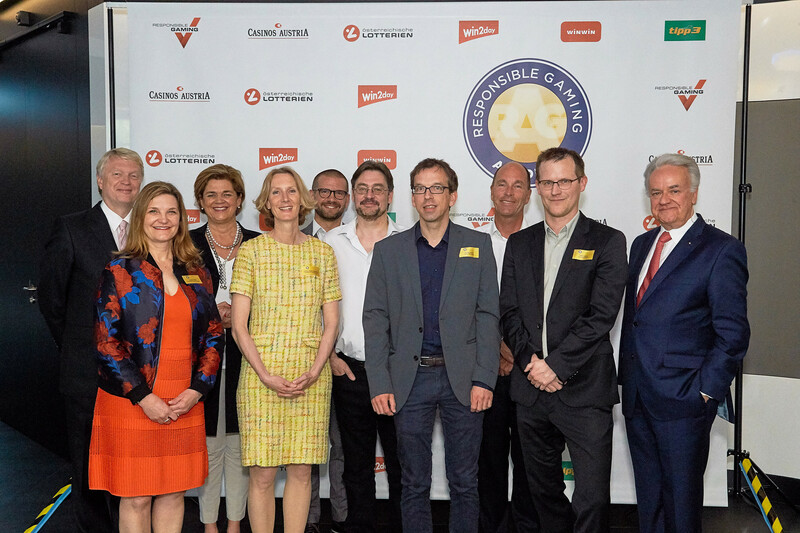 In his keynote speech, Prof. Dietmar Hoscher, Director of Responsible Gaming and CSR in the Casinos Austria Group, provided an overview of the developments in player protection since Casinos Austria was founded back in 1967 and on the changes in the demands on responsible gaming. “Responsible gaming is the basis of the business model in our industry; the prevention of gambling addiction a universal guiding principle in our work. But we have to make sure that measures like entry bans don’t trigger precisely what they were intended to prevent: the development of a pathological gambling addiction through migration to unlicensed and illegal gambling operations.” Hoscher focused in particular in his speech on the prevention of gambling addiction and the protection of minors. The distinguished British behavioral scientist Professor Dr. Mark Griffiths demonstrated the possibilities afforded by digital monitoring of online gamblers, “Behavior analysis reveals indicators of problem gambling that can be used in targeted measures to protect players,” explained Griffiths. He also presented the self-monitoring program “MENTOR”, which was developed in cooperation with win2day. This tool allows players to monitor their gambling activities and provides them with feedback on any changes and potentially problematic trends. Shelley White, CEO of the Responsible Gaming Council in Toronto, Canada, addressed the topic of responsible gaming in times of rapid change – demographic, technological, economic, political and social changes are important factors of influence for the gambling industry and reputable operators. According to White, socially compatible and responsible practices are essential when it comes to preventing problem gambling, but also for raising public perception and ensuring a sustainable approach on the part of consumers and operators alike. Dr. Tobias Hayer from the University of Bremen in Germany talked about the delicate issue of youth gambling. He provided insights into the attraction of gambling, which research indicates is similar to experimenting with drugs, and the increased risk that is posed by simulated gambling online. “The prevention of gambling addiction and gambling-related problems in minors through measures like the acquisition of social competences, the reduction of the availability of gambling produces and awareness-raising in schools is both possible and expedient,” reported Hayer. In his presentation, Prof. Dr. Neven Ricijaš from the University of Zagreb showed that gambling has been gaining increasingly in popularity in Croatia over the last ten years. In a liberalized gambling market, especially in terms of availability and accessibility, it is still easy for minors nowadays to participate in gambling – especially sports betting – even though it is illegal for them to do so. Using examples taken from recent research, he demonstrated the challenges that parents, mental health professionals and lawmakers have to overcome in the current environment. The communication expert Dr. Andrea Köhler-Ludescher, grand-niece of the communication theorist Paul Watzlawick, demonstrated in her presentation how non-verbal communication, above all in the internet, has developed in the last 20 to 30 years and described the challenges for “analog interpersonal communication in the digital web” using emojis, etc. “Written language is increasingly adapting to verbal practices, which are augmented by expressive images. There are big cultural differences in the use of emojis, but the phenomenon basically applies to all age groups and social classes,” said Köhler-Ludescher. A further aspect of concern are the different display formats on different devices and platforms, which can lead to misunderstandings. The 230 delegates welcomed to the 15th RGA by Herbert Beck, Head of Responsible Gaming at the Casinos Austria and Austrian Lotteries Group, once again included – alongside employees of the group – representatives of the Austrian Ministries of Finance and Health as well as renowned research, counselling and treatment centers from across Austria. Also in the audience were representatives of government authorities, support organizations and gambling operators from across Europe.